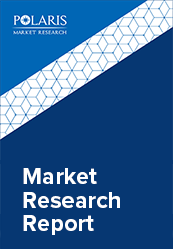 The global polyolefins market was valued at USD 245 billion in 2017 and is estimated to grow at a CAGR of 6.2% from 2018 to 2026. Polyolefins are among the largest synthetic polymer used for manufacturing different end-use products. These synthetic polymers are largely used on account of their excellent mechanical properties such as light-weight, high chemical resistance, and low cost of production. Polyolefins are of different types, such as polypolyolefins, polypropylene, thermoplastic olefins, and others. The global polyolefins market is mainly driven by the massive demand from the plastic industry. Plastics in the current scenario is the most pervasive workhorse material of the modern economy due to its low cost and highly functional properties. Plastic packaging and commodity plastics are the most lucrative segments of the plastic industry, rapidly driving the demand for polyolefins. Rapidly expanding downstream businesses of the petrochemical value chain, especially in the developing countries has led to growth in the consumption of polyolefins for manufacturing of different commodity products. The growth of polyolefins is directly led by the increased consumption of end-use products such as flexible packaging, commodity plastic products, and bio-based products. Such end-use products have witnessed huge demand due to rising urbanization in the growing middle-class population, increasing disposable income of consumers, high product differentiation, advancements in material science in the industry along with the large number of market players & their extensive strategic framework. Global polyolefin market is also subjected to hefty regulations as its derivative products such as plastics are known to have severe environmental impacts. The manufacturing & emissions are regulated by different agencies such as Environmental Protection Agency (EPA). As plastics are tremendously being replaced by environmentally friendly products, the stringent regulatory framework poses serious concerns towards the growth of polyolefins. Polyolefins are the derivatives produced from crude oil and thus subjected to intense price volatility. The petrochemical industry has witnessed extreme price volatility in 2017, which is likely to impact the competitiveness and profit margins of the crude oil and the derivative industries including polyolefins. Albeit the signs of growth in the major commodity polymers, the demand for polyolefins and related synthetic polymers is anticipated to remain exposed to numerous unpredictable factors. Polypolyolefins and polypropylene are among the largest product categories for polyolefins. Polypolyolefins is one of the largest-volume petrochemicals produced worldwide along with a versatile derivative portfolio used in both non-durable and durable end-uses. This largely used polyolefin has three direct applications including high-density polypolyolefins (HDPE), low-density polypolyolefins, (LDPE), and liner low-density polypolyolefins (LLDPE). On the basis of applications, polyolefins market is segmented into films & sheets, injection molding, blow molding, extrusion coating, fibers, and few others. Films & sheets is anticipated to be the fastest growing application due its major end-uses such as in industrial bags and flexible packaging. Global polyolefins market is characterized by the diverse trends in different regions of the world. The emerging nations are anticipated to witness a mixed performance in terms of growth wherein the advanced countries have witnessed steady growth in spite of many bearish conditions. Asia, Africa, and the Middle East are likely to experience the fastest growth of polyolefins. China, India, Thailand, Vietnam, Indonesia, Malaysia, and Pakistan have contributed significantly towards the growth of Asia Pacific. The huge demand for polyolefins from the emerging Asian countries is due to rapid development in the polypropylene and polypolyolefins markets. This in turn is driven by the demand from automotive products, durable goods, packaging materials, and industrial applications. The polyolefins market is highly competitive and constitutes of large number of domestic and international market players. Some of the key polyolefins market players include ExxonMobil Chemical, Dow DuPont, Sinopec Corporation, Total SA, Arkema SA, LyondellBasell, SABIC, and Chevron Phillips Chemical Company LLC.